At the end of last month, a question came up in the Content Creators Facebook group about learning more about copywriting. I answered and I, want to expound on that answer tad. Now, why would a web creator or WordPress professional learn more about copywriting? I’m sure there are multiple reasons but one of the biggest, I’m sure, is the same reason anyone seeks to discover more about anything. We are curious by nature, and we want to learn more about skills we might be weaker in or could help us more. So, to answer this guy’s question, I gave my best advice in a short space. 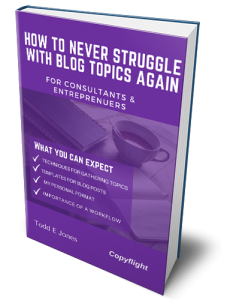 “Todd E. Jones- Depends on the type of copywriting you wanna do. So, there are some great ones in the SaaS industry which I follow, then you have the direct response folks. Those are two different areas, but similar. Then you have the more content driven folks who has elments of both. My advice is to learn from all of them. Follow Ben Settle and Joanna Wiebe. I think Cup of Coffee email newsletter by Kaleigh Moore is good. You can pick up a lot from Nabeel Aziz. Join The Copywriter Club FB group, my favorite aside from Kim’s group. Lot of these folks hang out in there. Let me explain something that I wasn’t sure about too much myself a couple of years ago. I believe the word copywriting refers to a more broad industry. Within that industry, there are subsets. Saying someone is a copywriter is like saying someone is a website developer. So, from what I can tell, there are several copywriting specialties: Direct Response, Conversion Copywriting, Email Copywriting, Sales Page Copywriting, Content Copywriting, and SEO Copywriting. Now, some folks will disagree, but this is my opinion. The way I make my distinction is if the writer writes copy to help sell or market something, they are a copywriter. This means that any writer is not a copywriter. 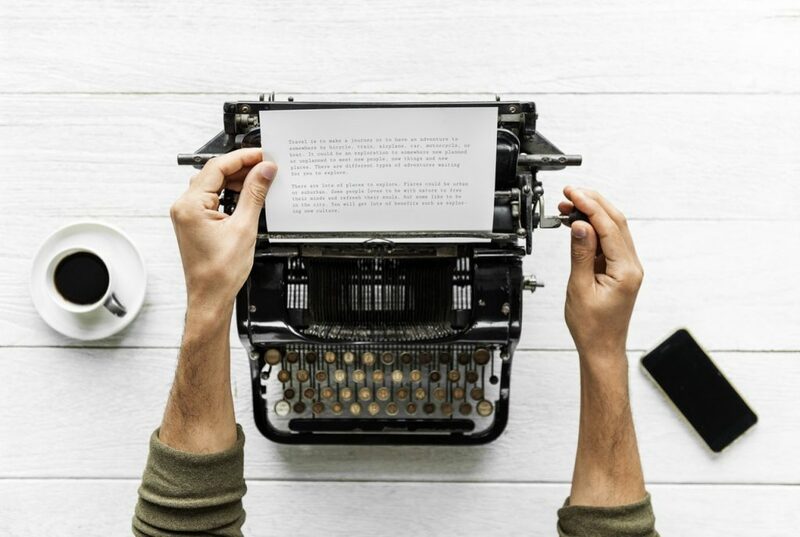 Writers who write fiction, technical writers, and other types of writing outside the field of sales and marketing would not be considered a copywriter in my mind. Not sure what others think, but that is my idea. Now, some copywriters write fiction. Many I know write books and short stories for fun. For example, Ben Settle has many fiction books he sells. Ben is a direct response copywriter who does a lot of email copywriting. Sometimes, the various spectrums of copywriting overlap such as with Ben. Some folks in the SaaS (software as a service) industry will often write several different types of copy. You know that copy is needed, badly! I know you believe that because the last time you waited on content from a client, you felt it with all your heart. So, if you are looking to learn more about copywriting and improve that skill, I am going to go over some resources for you that you can learn from. I mentioned Joanna. Joanna is a trainer of copywriters and a high priced software as a service copywriter. She is the owner and manager of the Copyhackers blog. It is a fantastic blog, but be warned; the posts are not short at all. That is because they write exhaustively for each post. She brings in some of the best copywriters to write posts, many of which are in her courses. The blog standards are very high. Wiebe refers to herself as a conversion copywriter. Copyhackers launched Airstory a couple of years ago. It is a fantastic SaaS that allows copywriters to write and compile articles, copy of any kind, sales pages, landing pages, just about anything you need for copy. She hosts Tuesday Tutorials. She teaches some incredible information in those videos, and they usually aren’t more than 30 minutes. You, get to look over her shoulder or a guest’s shoulder to see how they do something. Often they are working in Airstory which gives you a chance to see how powerful the software is. Two of Joanna’s disciples, Kira Hug and Rob Marsh launched this podcast a couple of years ago, and they have an accompanying Facebook group. Seriously, the podcats are A+, and you learn from some of the top copywriters. The Facebook Group is one of the best business support group I’ve ever been apart. You often have guys like Joel Klekke dropping value bombs all the time. Even more, you are sure to learn something from other’s experiences. Henneke has some great posts, both on her blog and other blogs around the internet. She also hosts several courses and books. Henneke received her big break from an article on Copybloggers and her influence skyrocketed. She knows writing. Neville has been a copywriter for Sumo and AppSumo for some time. He sold his course on AppSumo, and it has helped thousands of people. The good thing is that Neville has a free course you can get started with. He also runs SwipeFile.com where visitors can see examples of stellar content. Neville also has a boatload of handy free guides you can find here. Did I mention Copyblogger? I used to follow them religiously, but these days it has faded from my view. Nevertheless, they still turn out stellar content, and the old content are classics. They have tons of resources for learning to write better. Ben turns out solid, useful content in his own way. Not everyone likes his style, but it is hard to argue with his success. He is a master at writing copywriting bullets. He sales a printed newsletter each month for about $100. He is an old-school direct copywriter, and he knows most of the top copywriters personally. He also teaches courses for the American Writers & Artists Inc. The thing about Ben is he doesn’t just deliver copywriting advice, but he delivers solid marketing advice. He, like many copywriters, is an amateur psychologist. He knows what makes people do what they do. He can teach you a lot about writing emails. If you get my emails and see my style of telling stories, I am inspired mostly by Ben. It was already my style; he just spurred that forward for me. One of the best bloggers on the plane is undoubtedly Jon Morrow. He also has one of the best stories. He has built the best blog about content marketing based on lengthy posts from some of the best content writers available. Jon has several courses that help make you a top-tier blogger. Remember I mentioned Henneke Duistermaat, she just had a blog post on Smart Blogger. That is the level of writer Jon gets to write for his blog. Just reading this blog will make you a better business owner as well as a content writer. You know Kaleigh from tag teaming with Paul Jarvis to co-host the Creative Class. Kaleigh is a top-notch writer who gets results. She has one of the best email newsletters I receive. She always has great value in those emails. Follow her, and you will learn a ton about copywriting. Unbounce has a fantastic resource for creating landing pages. Fortunately for us, they included a section on copywriting. The entire course is free and worth a lot of money. You should bookmark it, but if you want to learn about copywriting in a conversion setting, this is one of the best ways to get started. ConverionXL is the best blog not called Copyhackers for learning about conversion copywriting. It covers everything conversion, so not all of the topics are about copywriting, but they have a strong category. There is so much more than can be said here, so many other resources to send you. These are the resources I decided to introduce you to. Feel free to check these out. 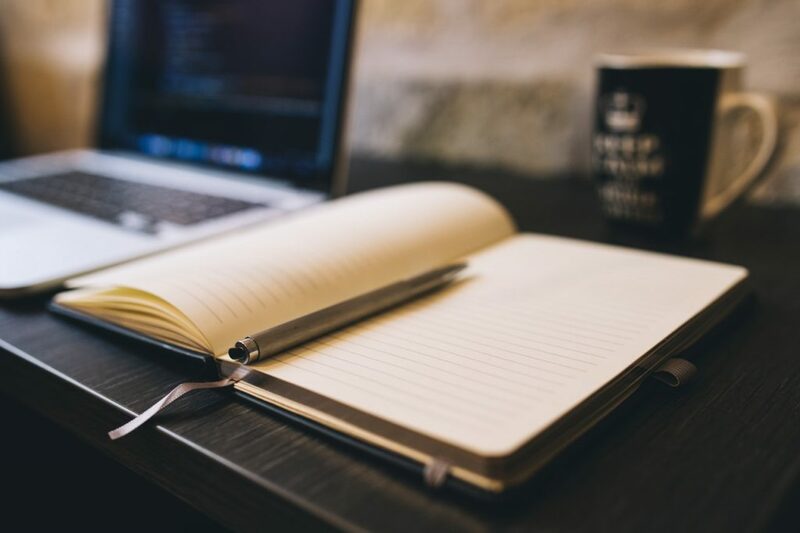 How can copywriting help your WordPress agency business? Copywriting sells products and services using words. Content is one of the most essential elements of any website project. If you need help creating content for a website project, give me a chat and let’s talk. You seem like a good writer to me. I recently joined Kim’s group and so a couple of your post which led me to your page. Perhaps I joined the wrong group. I would love to learn a little more; however, was actually looking for a copywriter, to write content marketing blogs. Hi Malissa. Kim’s group is excellent! There are several other good content and copywriter groups on Facebook as well. Feel free to send me a message through the contact form on the website and I’ll give you a list of some good Facebook groups to join!